Venice, you may be sinking....but you were gorgeous! 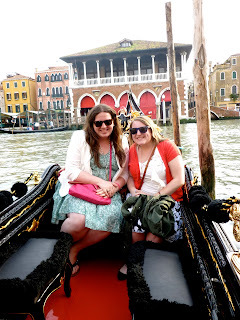 The second part of my Italy trip with Nicole was spent in Venice. We grabbed an early train from Verona to Venice. It took about an hour an a half. Enough time to almost finish Nate Silver's new book (review coming soon!). When we arrived at the main train station, we realized thanks to the hostel directions that we had to take the canal bus. Yes, I said a canal bus. It is exactly what you are thinking. Not quite the double decker red busses that I am used to, but it was the only way we knew of at the moment to get to the square that our hostel was on. Scenic ride, it was indeed. Our B & B was in a perfect spot! We could walk to the famous Rialto Bridge in under ten minutes, Saint Mark's Square in less than twenty, and there were more than enough gelato places for me to satisfy my craving! We started our afternoon off with more pasta before we headed down to St. Mark's Square. 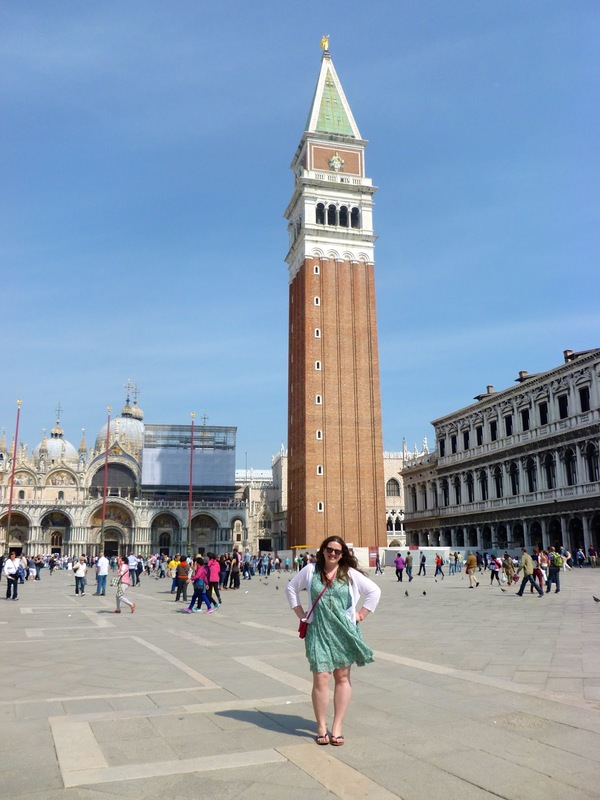 It was just as I imagined it to be- full of cafes, street performers, and an amazing view. We decided to go to the top of the bell tower to check out the view of the city and the surrounding islands! Well worth the eight euros! For dinner that evening, we ate along the Grand Canal in St. Mark's. Nothing could beat that view!